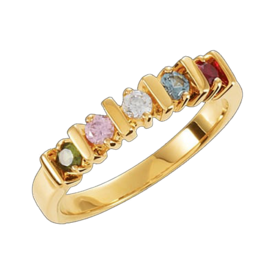 14k Yellow, White or Rose gold Filigree bar design Mothers birthstone ring. 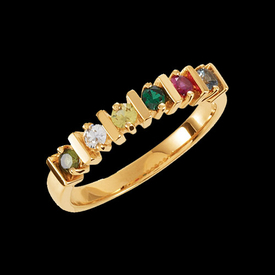 This beautiful crisp design family ring is available set with 2-6 gemstones. Also available in Platinum, email for pricing. 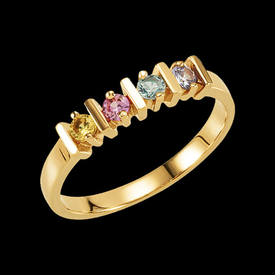 Gemstones each measure 2.5mm round. Simple, lovely, Mothers Day keepsake gift that she will treasure for a lifetime. 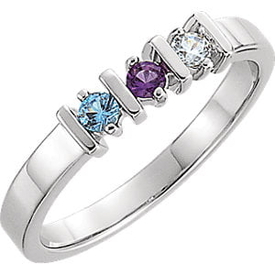 *Genuine stones or synthetic.